NEW PRICE! 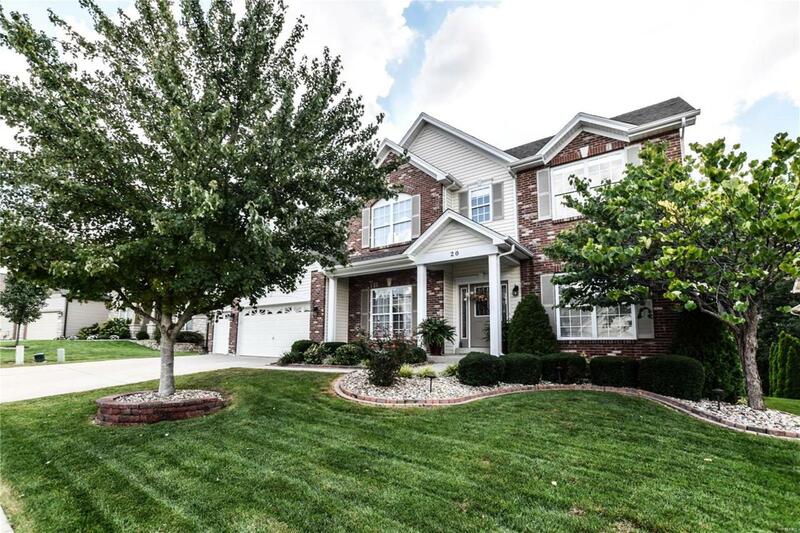 Stunning 5 bedroom 3.5 bath w/3 car garage awaits its new owners! 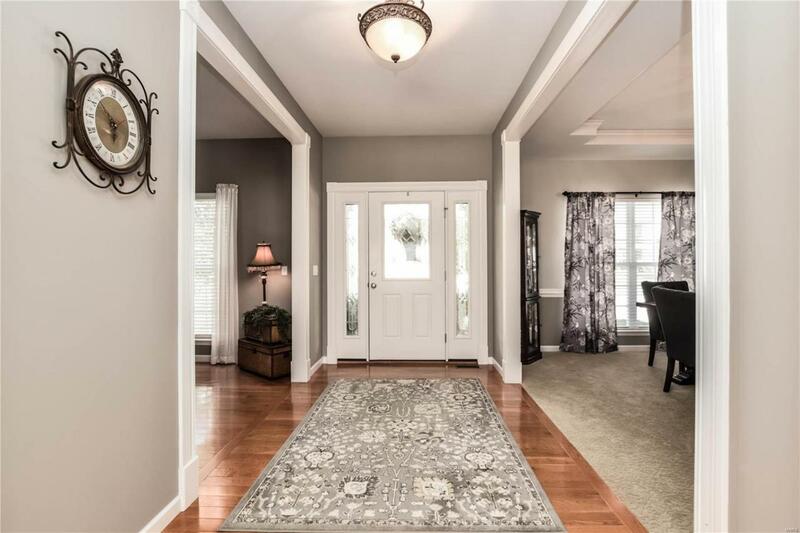 Step inside the beautiful entry foyer & be greeted w/hardwood floors, fresh neutral paint & new carpet throughout. 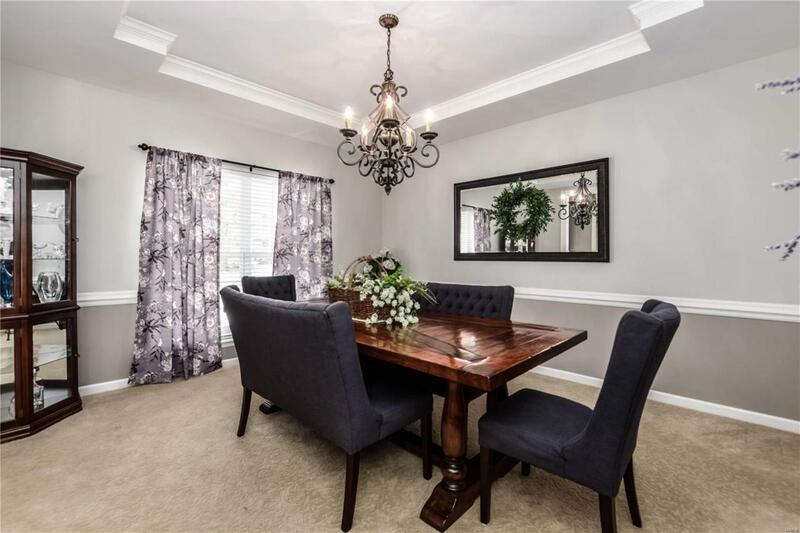 Formal dining room w/coffered ceiling & chair rail. Living room/office w/hardwood flooring & pass thru area to spacious great room w/wall of windows, 9 ft ceilings & gas fireplace. Gourmet kitchen w/ 42" stagger cabinets, SS appliances, double oven, stone back-splash, granite, large island, & planning desk. MF laundy w/sink & 1/2 bath complete the main level. 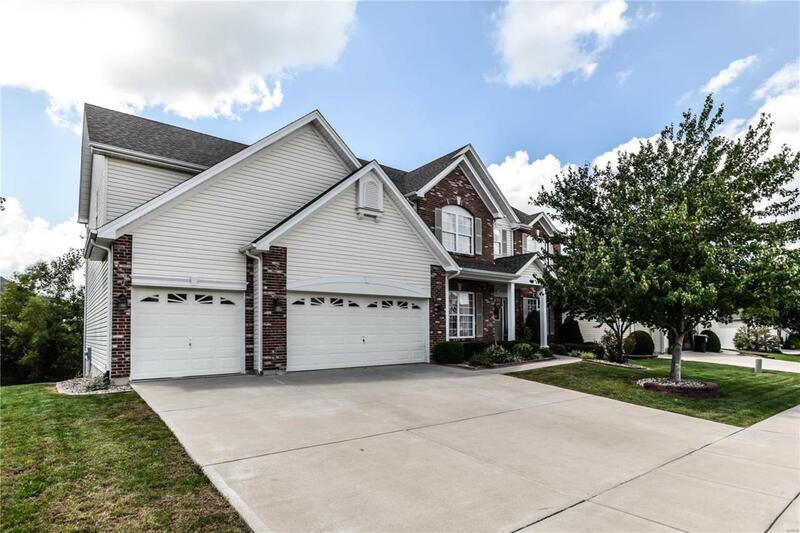 Upstairs has a spacious loft area, a HUGE master ste w/coffered ceiling & lux bath w/dual sinks, corner tub, sep shower & walk in closet. Beds 2-4 are generous in size & have a jack & jill bath along w/hall bath. Walk out to the maintenance free deck & enjoy the private yard! The LL is beautifully finished w/a rec room that allows access to the covered patio. Also a 5th bed/workout room w/a rough in for full bath & lots of great storage!